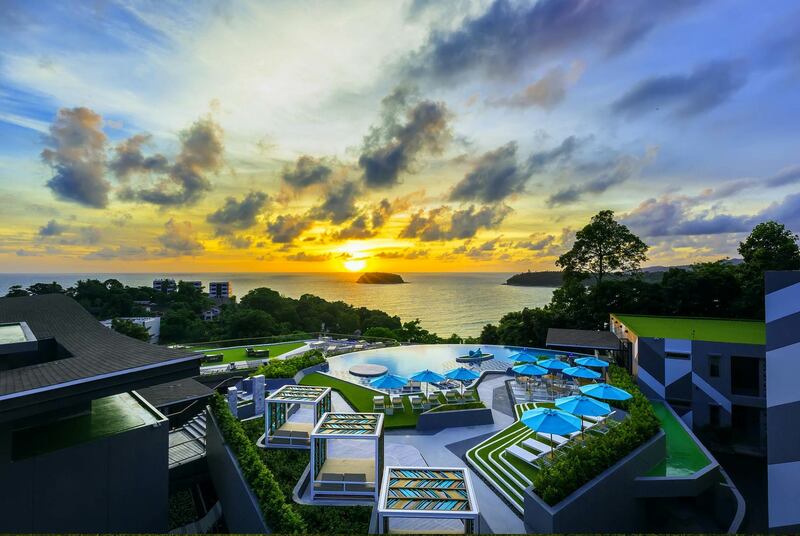 “Stay in Style” at The SIS Kata – A dynamic, young and trendy resort situated about 300m up on the hillside, just a few moments away from the award winning golden sands of Kata Beach. The SIS Kata stands out as having amazing views across the Andaman Sea plus a signature restaurant which welcomes both in-house guests and visitors alike. Just a little further up the hill, you will reach the view point and onwards to Leam Phrom Thep lighthouse, both famous in their own right. Designed by the ‘sisters,’ the attention to detail has played an important part in the development of this beautiful resort. Guests can enjoy a variety of graciously styled rooms with just that extra little touch of style seen throughout.